I’ll have to check these out, thanks! I’m sure you’ll find some new favorites! this is an awesome list! I love some of these already and will obviously have to check out these other ones! I am always looking for new recipes and inspirations to make at school and such. Absolutely amazing source of information for all of my fellow gluten-free eaters! I can’t wait to check these out! Hi Rebecca. 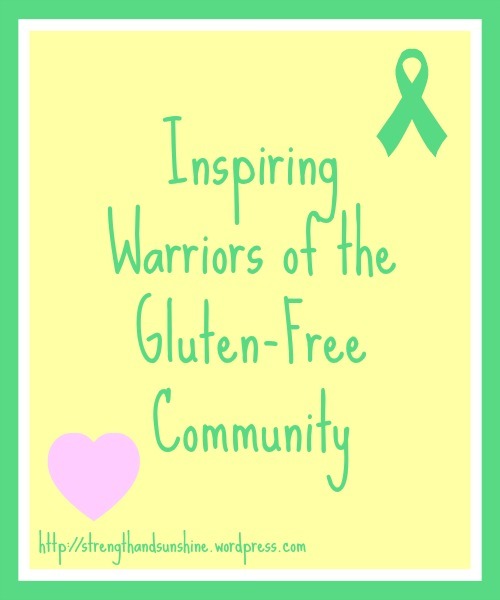 Thanks soooo much for for including my blog in this list of super gluten-free warriors! Many of the other bloggers you mentioned are amongst my favorites too. Just had a family member find out they’re gluten allergic, and so posts like these are so totally helpful. Thanks! Great! I am so glad this can help them 🙂 If you ever need anything, just shoot me an email and I will be happy to give my advice! Of course Cindy 🙂 You all rock! 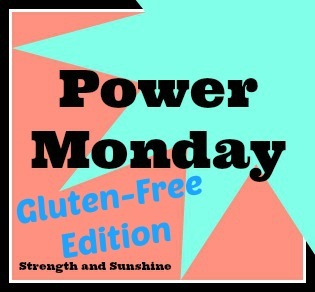 Thanks for sharing all of these links to gluten-free blogs! I’m definitely going to check them out. Your welcome Lisa! Thank you so much for participating in my challenge! What a great list! 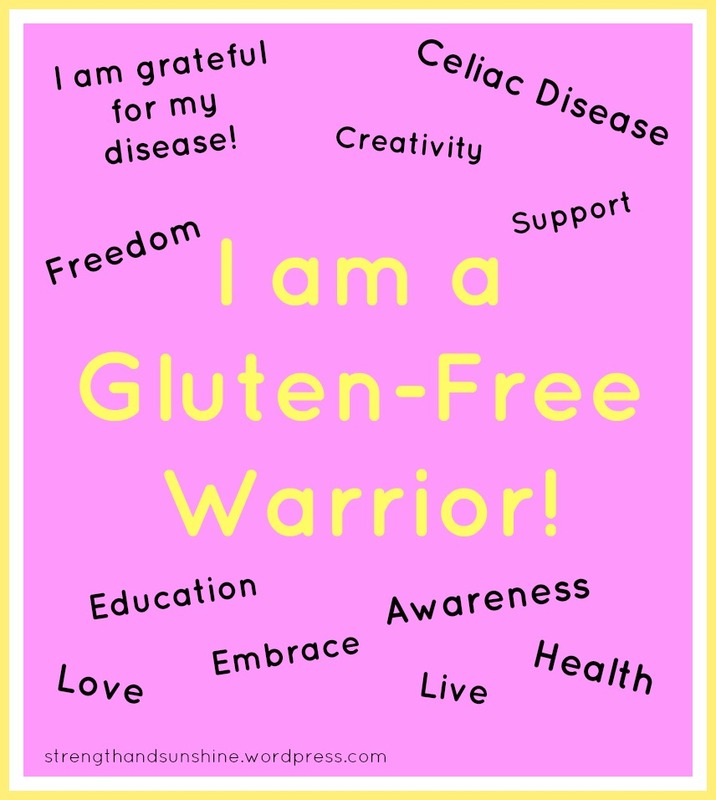 I don’t have any to add to your comprehensive list, but I’m definitely forwarding your page on to my bestie who has Celiac and might not know about the gluten-free community that’s out there. Great I’m hope she finds it helpful and starts joining in herself! oh fabulous, some i havent heard of. thanks for sharing! Yay, happy new blog stalking! What a great blog roll for GF information, recipes, ideas, etc! Nice work! Thanks for the round up girl! I’m always looking for new (to me) GF bloggers! Haha noe you’ll never be out of bloggers! such amazing people and GF crew!! You are so right, this support is amazing! And we are all thankful for YOU! Great group of GF warriors! I see a few of my favorites listed. I’m so bad at making these lists….there are just so many! Thanks Tina! That’s what makes blogging so great. The connecting and support you get out of it and can give to one another! I love all of the blogs you listed! Whilst I don’t solely call myself a gluten free bloggers (as all of our recipes are adaptable) I kind of am as all of the recipes are gluten free and I’m a coeliac! I cannot remember the first blog I ever looked at – I started blogging at my old blog almost 6 years ago and soooo much has changed! I didn’t even know I was a coeliac then! I actually just came across Against All Grains this morning from hearing about her heartbreaking baby news. She seems like such a strong & wonderful person. They are all such string individuals and we all support one another through it all!